During her first year as a post-graduate at university, Jill Jenkins shared a London flat with a woman called Amy who was attractive and thin. Jill was rarely in the flat except to sleep, but one day she noticed that virtually all the food was missing. “It was truly bizarre,” recalls Jill, now 45 and a professional writer. “I woke up one morning and went into the kitchen to make a piece of toast, and everything was missing. Jill didn’t think much of it, but a few days later her flatmate Amy started up a rare conversation with her. “She told me that some people at a party had asked if she was pregnant, which I thought was odd. Then I noticed her tummy looked really distended. Not long after this discovery, Jill moved out. Binge eating, usually triggered by anxiety and/or depression, is a condition where people feel compelled to overeat on a regular basis, regardless of whether they are hungry or full. 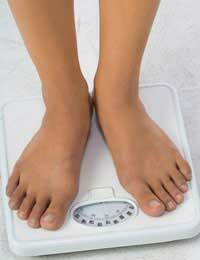 The eating disorder affects women and men equally, unlike other eating disorders such as anorexia and bulimia, and for some reason is more common in older adults than younger ones. Usually people who binge eat feel guilt and disgust with themselves afterwards, and then the cycle repeats itself. Binge eating is classified as a mental health disorder, although it physically affects the body negatively as well as the mind. 1) A surge in blood sugar levels caused by binge eating causes more production of the hormone insulin by the pancreas. Insulin helps the body to break down fats and carbs in the body. 2) This excess insulin results in levels of blood sugar to fall, which sends a false message for the body to eat more food to produce more glucose. 3) As a result the body starts to crave more sugary foods to top up glucose levels, so even when the binge eater is not hungry they begin to crave more, and correspondingly eat more. 4) The cycle is repeated as eating more foods high in sugar leads to an increase in blood sugar levels, and thus more insulin production. Feeling embarrassed by how much you eat. Trying to hide your eating. Never feeling satisfied, no matter how much you eat. Desperately trying to control eating habits. Feeling disgusted and dismayed at yourself because of your eating habits. Intense stress over how much you eat. Eating even when you’re full, and bingeing in private while eating normal amounts in public. Eating large amounts very fast, with no set mealtimes. Overcoming binge eating can be difficult, and often requires the help of a competent professional. Other ways to overcome this eating disorder involve eating only three meals a day at set mealtimes, and keeping a food diary meticulously detailing how much you eat. Trying to keep stress levels at a minimum can also help, as can learning to distinguish between real hunger, boredom, and depression/stress. Learn to listen to what your stomach is really telling you and give cravings enough time to pass on by. It’s also important to stop dieting and start exercising, and to limit boredom as much as you can. Get rid of all unhealthy food in your house and get enough sleep. Getting involved in a support group with like-minded sufferers can also help, although caring and sharing is not for everyone. You might benefit more from seeing a private counsellor. Binge eating is a mental health disorder that, with time and effort, can be overcome. Different types of therapies and even medications are available, so take some time to find out what’s right for you. There is no good reason to over-eat, and with the right support you too can learn to eat in a way that’s healthy and even enjoyable. “I’m not sure what ever happened to my flatmate, but she had a lot of problems and binge eating was just one of them,” says Jill.